There were sooo many poems to choose from, so I opted to go with the first one I memorized as a child for a church recital: Ego Trippin’ (there may be a reason why) by Nikki Giovanni. It is a poem that advocates strength and power; it contains positive images for children and reiterates whatever can be imagined is possible. Thank you for sharing your poem – it’s deep and definitely one to keep close to revisit from time to time. I just discovered Terrance hayes last week and I’m loving his poetry. He’s dope! More people should talk about him. 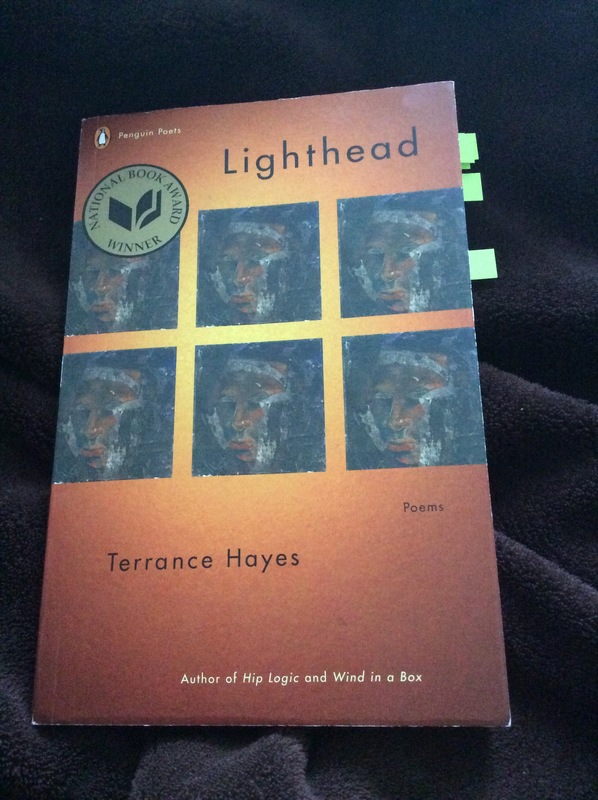 Thank you for turning me on to Terrance Hayes’ great poem, “Lighthead’s Guide to the Galaxy”! I dig it!….so, so hard to have ONE favorite poem….I just can’t narrow it down! Me neither! So I decided to introduce one I just discovered. He’s awesome! Yep, I need to start reading Terrance Hayes.